On Friday November 14th, Arte Fuse visited Launch F18 for their final opening at its current location in Tribeca. The Gallery will be relocating to a larger space in the lower east side due to open sometime in spring 2015. The sound installation is by New York based artist Ivaylo Gueorgiev called SIR! SIR!…SORRY; which is a compilation of recorded voices by security guards taken in different museums around the world. Before attending this show, I didn’t know what to expect. Sound installations are always a crap shoot and that night it was time to gamble. Launch f18 always surprises me with clever and innovative shows, I have to admit, I’m yet to be disappointed. 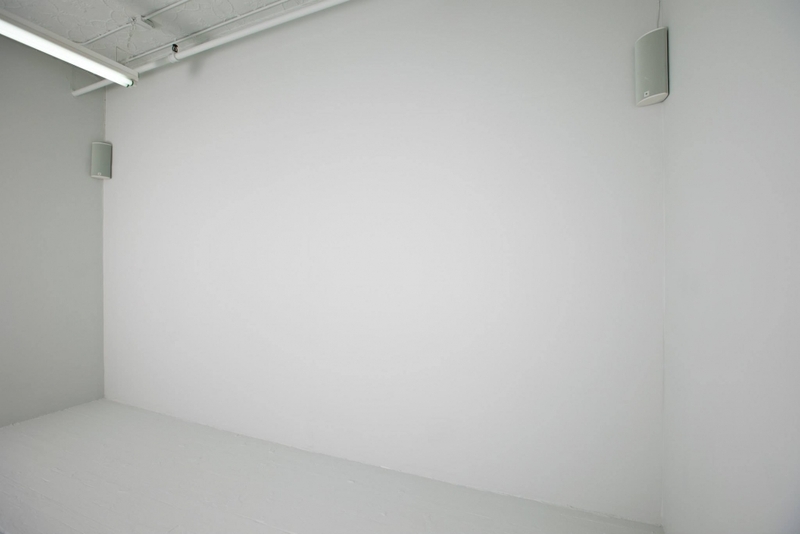 This petite art space is a perfect fit for Ivaylo Gueorgiev’s sound installation: SIR! SIR!…SORRY. I found the recorded voices of the security guards comical yet controlling. After a couple of minutes, the recordings transported me to its original setting and made me feel like I was at a museum far away from NYC. Even if you are not taking photos, you get this awkward feeling, like you are doing something wrong. I found myself whispering throughout the opening as people cracked up to the different voices, tones and languages recorded by artist. It’s also nice exploring art through various senses other than your vision and learn to appreciate vibrations as an art form other than music. The show is up until December 27th and it was well worth the gamble.